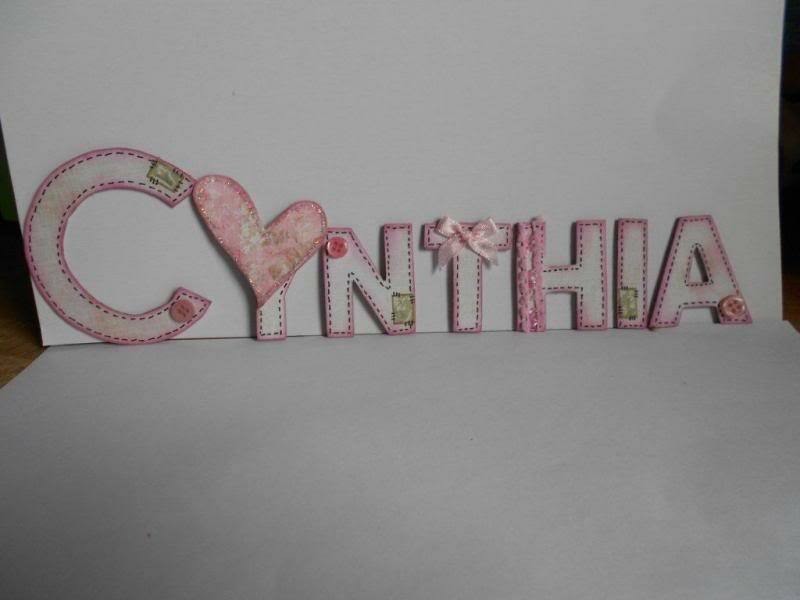 Cynthia can't seem to get pictures up on the site, so said I'd put this up for her. oooh they are real pretty . Pretty letters. Are they stitched? These are lovely Tina - and you had one of the longest names too!!! They're great. Really pretty and I like the stitching lines. Thanks for posting them up for me Kate. I really liked them very fresh looking. Thanks Tina. Glad you like them! Faux stitching c/o black gel pen.